While news that last year’s winner Sprinter Sacre will not line up to defend his Queen Mother Champion Chase title is a blow to the 2014 Cheltenham Festival, the eight-year-old’s absence opens up the field for a potential outsider to take the prestigious crown. New favourite Sire De Grugy represents poor value at super-skinny 5/4 odds, so we’ve run the rule over a few generously-priced contenders for Cheltenham Wednesday’s showpiece event. The six-year-old lost little lustre in defeat over Christmas in a Grade 1 Chase at Leapordstown, despite going off as 7/4 favourite, as Benefficient and Hidden Cyclone edged past Willie Mullins’ charge in a blanket finish. Neither of those opponents are likely to line up in the Champion Chase and with the 2010 Albert Bartlett Novices’ Hurdle fourth showing a cracking turn of foot when winning a Grade 2 at Punchestown since, Arvika Legeonniere has to come into the reckoning under the care of Cheltenham expert Mullins. Having beaten Sire De Grugy fair and square off level weights by three and a half lengths around the Prestbury Park fences in November, Sprinter Sacre’s stablemate flopped last time out in his first run in Ireland for almost two years, when finishing seventh out of seven in the aforementioned Leapordstown race. However, that was on soft ground, and considering that five of the eight-year-old’s six career wins have come on either good or good-to-soft ground, conditions ought to suit Henderson’s reserve at the festival, where Kid Cassidy finished second behind Alderwood in last year’s Grand Annual Chase. 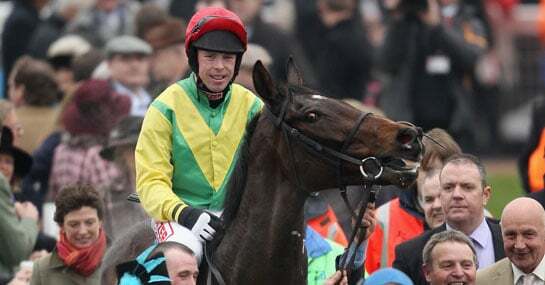 The 12-year-old – who won this race back in 2011 and finished second in the last two renewals – got to within five and a half lengths of Sprinter Sacre at Punchestown last April. Henry De Bromhead’s illustrious veteran has finished outside the top two in just one of his six runs around the Gloucestershire track and rates a decent each-way poke at double figures.